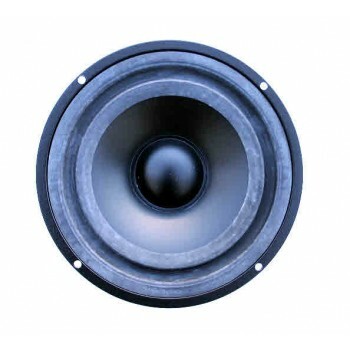 Seas P17REX H0416-08S Woofer. £40.15 excl. VAT. 8 Ohms. 170mm Chassis. 6.5" polyprop. cone, High Sensitivity. High Loss rubber surround, smooth response. 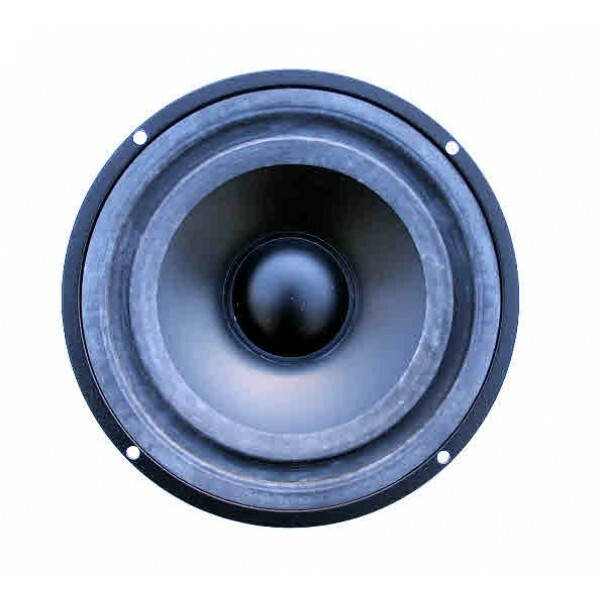 Seas P17REX H0416-08S Woofer is a 6,5" High Fidelity woofer with an injection moulded metal chassis. A polypropylene based cone, a soft PVC dust cap and a high loss rubber surround are carefully matched to each other, resulting in an outstandingly smooth frequency response. The unit has a high power handling capacity due to its relatively large voice coil diameter. The magnet system has a T-shaped cross section of the pole piece for low modulation distortion. A large magnet system provides high efficiency and low Q. An extremely stiff and stable injection moulded metal basket keeps the critical components in perfect alignment, the large windows in the basket both above and below the spider reducing sound reflection, air flow noise and cavity resonance to a minimum.